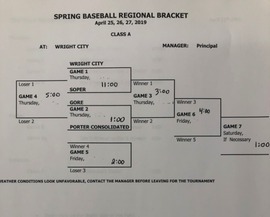 Wright City will be hosting the Regional Baseball Tournament this week. The Lady JAX will make the short trip to Rattan for their Regional Tournament. Times may change due to the possibility of rain. Mr. Miller applied for a Healthy Fit Kids Grant through the Tobacco Settlement Endowment Trust (TSET). Wright City received $12,000 to purchase items or equipment to used for exercise for the school and community. The Wright City FFA Greenhouse is open during school (8:30-3:00) Prices: $3.00 / 6 Pack or $15.00 flat Vegetables include: Tomatoes : Beefsteak, Big Boy, Better Boy, Homestead, Roma, and Cherry Peppers: Jalapeno, Sweet Banana, Cayenne, and Cali Wonder Bell Squash: Straight Neck Yellow, Crooked Neck Yellow, and Zucchini Cucumbers: . 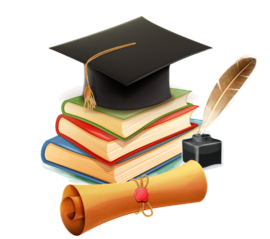 . .
End of the Year Dates April 10 ACT Testing for Eleventh Graders @ KTC April 11 Seniors' Honor Banquet @ BB First Assembly of God 6:30 p.m. April 12 NO SCHOOL April 12-13 Art Club Trip April 18 & 19 District Baseball and Softball . 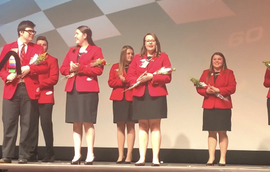 . .
Congratulations to Laci Pendergraff for being elected to the 2019-2020 FCCLA State Executive Council. And congratulations to Mrs Luna her advisor as well. Both have put in countless hours to achieve this honor. The two will be traveling together many miles this upcoming year. Also congrats to Broken Bow Sophmore Kensley Camp who was elected as well. Laci will be Vice President of Public Relations for the upcoming . 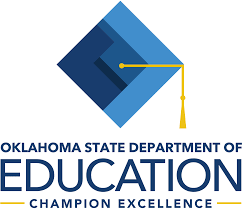 . .
Carl Albert State College Poteau Pete Young First Physics Tara Box First Psychology Alex Watkins First World History Ashley Gantt Second Grammar Sean Phillips Second Trigonometry Andy Gibson Second . 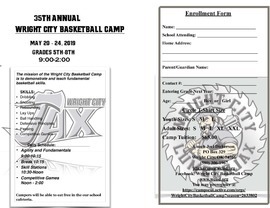 . .
Camp dates for the 2019 Wright City Basketball Camps is as follows: 35th Annual Wright City Basketball Camp Grades 5-8 May 20-24, 2019 (9:00 -2:00) 4th Annual Little JAX Camp Grades 1-4 June 3-4, 2019 (9:00 - Noon) Campers may eat free in the cafeteria each day. You may print and mail or bring enrollment form the first day of camp. Also you can preregister for camp online @ . . . 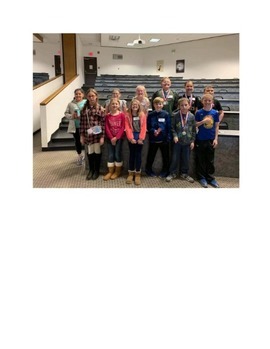 This week Wright City students in third through eighth grade competed in the county curriculum meet. Our students represented our school and community well. Grades 6-8 Kellen Lindly Social Studies First Kase Lindly Social Studies First Rayner Beene Math . . .
Mahala Battiest Wins Trip To Washington D.C.
Mahala Battiest is representing the Choctaw Electric Cooperative as a member of the 2019 Youth Tour. She is one of 70 students representing Oklahoma Electric Cooperatives in Washington D.C. during the month of June. Mahala created a multimedia presentation over how society treat those with disabilities. She was among six finalist in the Choctaw Electric Cooperative Region, and following an interview . . .